We’d love your help. Let us know what’s wrong with this preview of The Art of Awareness by Deb Curtis. To ask other readers questions about The Art of Awareness, please sign up. This a really wonderful book for anyone working with children. Especially if you are interested in emergent curriculum. I will be referring to this book often when I need inspiration, ideas, or quotes. I teach child development courses and I used this book for a course of Observation and Assessment of Young Children. I thought the authors did a fantastic job on portraying children as capable and competent learners. 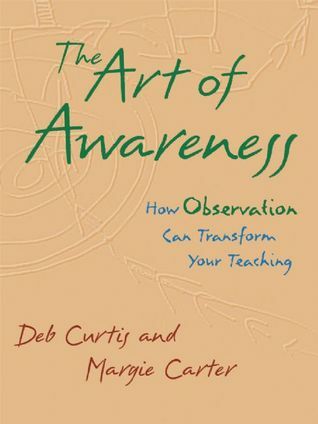 I actually took Curtis and Carters "art of awareness" two day long training with the book. Amazing experience!